Sunny afternoons in Fernie have us glued to the patio, and the newest addition to our Limited Release IPA Series makes the perfect companion to a relaxing summer day. 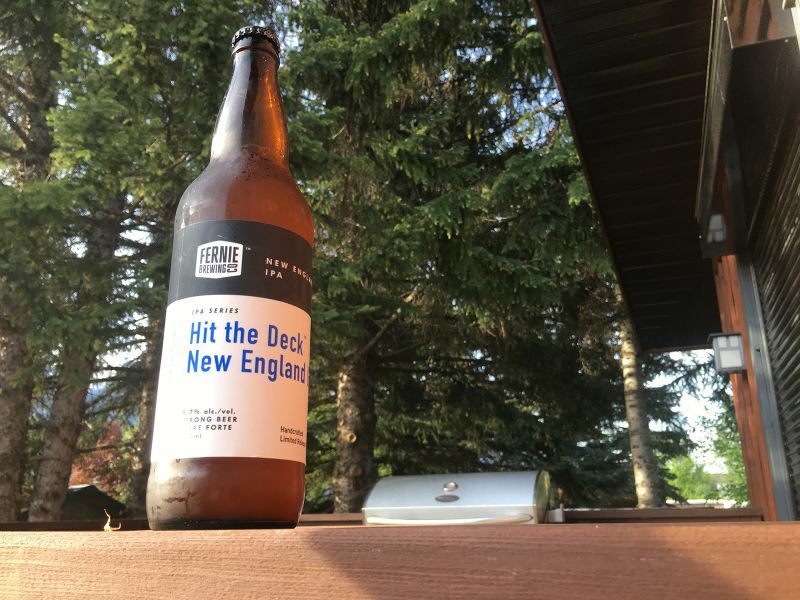 Hit the Deck New England IPA is a cloudy, tropical beer, brewed with a special yeast strain that accentuates the grapefruit, tangerine, and stone fruit flavours of the hops. We think it’s simply delicious! New England IPAs are characterized by their cloudiness and smooth, creamy finish. This brew has a tropical and fruity aroma that will make any beer drinker dream of the rocky shores and salty seas of the East Coast. The name is twofold, as Hit the Deck aims to capture the true essence of the East Coast – long days at sea, unparalleled ocean storms, and a long history of cod fishing. For those of us nestled in the Rocky Mountains, miles from the sea, Hit the Deck takes a more literal meaning… enjoying a beer on the wooden planks of the deck in our backyard. Although, at 6.7% we advise you to not go overboard. Hit the Deck is available now in 650ml bottles in local Fernie liquor stores and on tap at select restaurants in Fernie. Keep an eye out throughout the month of June, as this brew makes its way across BC, Alberta & Manitoba. 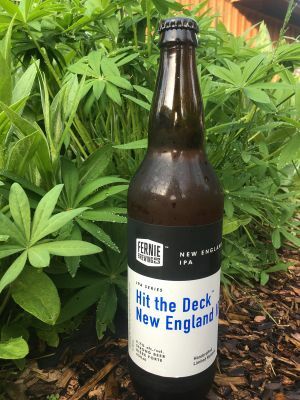 This highly coveted New England IPA is only available for a limited time while quantities last, so don’t wait to try this great new brew! Next up in our Limited Release IPA series, coming this August, is another new addition, named after a favourite Fernie trail of ours – Old Stumpy Pine IPA.